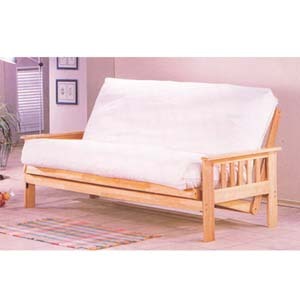 Wood Futon Sofa. Available In Natural And Antique Oak Finish. Measures, 75x32x35H. Mattress Is Not Included. Easy To Assemble. IEM2510_.